Exloc Instruments UK Ltd was established in 2012 to recreate the success in the UK that Exloc Instruments Inc. has been enjoying in North America for 20 years. 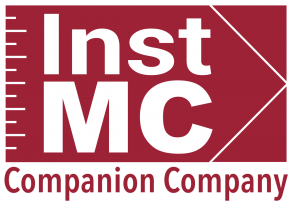 Our team has many years of experience working in the process industry and in the field of hazardous area protection, especially Intrinsic safety. Exloc is based in the North of England and serves the whole of the UK and the Republic of Ireland. We are the sole UK agents for the GM International range of Intrinsically Safe Interfaces and SIL relays, The BE-X Solution range of Zone 1 Remote I/O systems. HMI-Elements range of PC Terminals, workstations and monitors & Primation for their range of ATEX ethernet solutions. 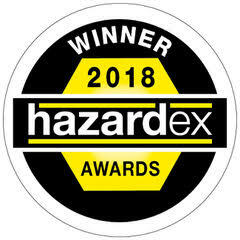 We pride ourselves on giving excellent and responsive customer service and won the Best Customer Service award at the Hazardex 2018 conference. The history of Exloc Instruments Inc…..
Exloc Instruments was born from a desire to provide one convenient source for instruments, electronic devices and other products specifically designed and approved for use in hazardous classified locations involving flammable gas and dust atmospheres. We specialise in products which are outside the scope of the mainstream process control vendors. Our products carry the latest hazardous area certifications and approvals from the top notified bodies. Launched and managed by individuals with a long history of experience and innovation in this unique field of engineering, Exloc has grown to be a widely recognized and respected vendor. Initially serving industrial clients in North America, Exloc is rapidly acquiring customers throughout the world. In 2012 a sister company was launched in the United Kingdom. 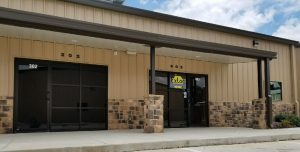 Corporate head office is based in Montgomery, Texas, ideal for providing direct support to clients in the U.S. Gulf Coast Region, including the many global entities with engineering and procurement offices located in this strategic oil and gas industry centre. The facility includes conference and product demonstration rooms and our integration workshop. Exloc has partnered with experienced and respected manufacturers in Europe and North America. The result is a constantly growing selection of products which complement each other with minimal overlap. By picking products which are the best in their class our customers are able to make qualified and timely purchasing decisions with a minimum of time spent on research. Keeping abreast of new developments brings the latest technological gains to our customers. The traditional dividing line between products specially engineered for hazardous location duty and those used elsewhere has become increasingly blurred. We are now able to offer familiar everyday devices which have been adapted and approved for use in hazardous plant areas. For details of Exloc Instruments Inc, please visit www.exloc.com. Join the Exloc mailing list to receive the latest news and updates from our team.